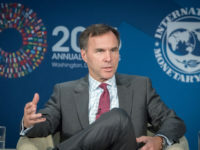 Canadian Finance Minister Bill Morneau released his government’s 2017 budget today and while the spending promises may be underwhelming for some, the documents sets out an ambitious agenda for digital policy review. In fact, with changes to copyright, patent, broadcast, telecom, net neutrality, digital taxes, fintech, Canadian media, and Cancon all under consideration, the coming year will have enormous implications for the future of Canada’s digital policies. 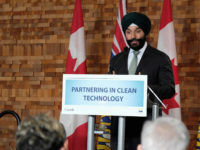 The budget does include several spending promises, including $13.2 million over five years to support an affordable Internet access program, $50 million for kids coding programs, $29.5 million over five years for digital literacy, and $14.9 million for digitization of Indigenous language and materials. There is also new money for the growth of artificial intelligence sector and the much-anticipated revamping of innovation funding programs. Yet the biggest digital implications may ultimately come from the policy reforms. First up may be new digital sales taxes. The budget includes a commitment to extend sales taxes to ride sharing companies such as Uber, a move that seems likely to ultimately lead to a broader extension of sales taxes to digital services such as Netflix.